Pre-orders for the Oculus Rift are now live and the price has finally been revealed, but Oculus founder Palmer Luckey is already fielding questions about what comes next. In a Reddit AMA that covered a range of topics from pricing to games, Luckey was asked how long he sees the first generation of the Oculus Rift lasting. "Somewhere between a console and a mobile phone, much closer to a mobile phone," Luckey responded. Going by current market trends – five to seven year cycles for consoles, and yearly cycles for phones – we'd say that maybe gives the first-gen Rift a two-to-three year lifespan – but that's a guess. However, Luckey added that the PC specifications for the Oculus Rift won't change during the first generation, so if you're in the process of building a PC rig that's capable of comfortably running the Rift, you're golden. 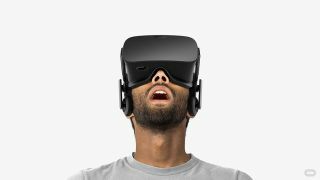 He also said there are "quite a few features" being worked on by Oculus VR, "some of which" will make it into the second-generation headset. "VR is still advancing very rapidly, there will be some pretty huge technological shifts happening," said Luckey. So what about that price? The reveal of the Oculus Rift's price was met with a fair amount of negative feedback from people who expected it to be cheaper. Part of this was due to earlier messaging from Luckey who said the headset would be "roughly in the ballpark" of $350, though he did add "it's going to cost more than that". The final cost is considerably more – $599/£499/AU$649 – and Luckey admitted that the communication could have been better. "I handled the messaging poorly," he said during the same AMA, before going on to explain that the $350 number was given due to many media outlets reporting that the Rift would cost $1,500 – failing to note that this figure included the price of a Rift-ready PC. "I was frustrated by how many people thought that was the price of the headset itself," said Luckey. "My answer was ill-prepared, and mentally, I was contrasting $349 with $1500, not our internal estimate that hovered close to $599 – that is why I said it was in roughly the same ballpark."